LoveFilm has signed a major deal with NBC Universal for television streaming rights in the U.K.
Amazon's streaming service throughout the United Kingdom, LoveFilm, announced a deal today that wil see it bringing NBC Universal shows over for users to enjoy on demand. Amongst the titles included in the deal are 30 Rock, the U.S. version of The Office, Heroes and the 1980s version of Knight Rider. This deal is noteworthy as it's another blow against Netflix's expansion into the U.K. market. Both companies are trying to secure content deals, but Amazon seems to be willing to throw a tremendous amount of money at winning the fight in this market. This does make you wonder if it's a possible sign of things to come in the U.S. version of this fight. While Amazon has still yet to launch a standalone streaming service in its home country, there is a streaming media component to its Amazon Prime service. It is definitely beginning to feel as though Amazon is gearing up for a large scale war for consumers here, and it may be using LoveFilm as a testing ground to see what works first. LOVEFiLM, an Amazon company, has partnered with NBCUniversal International TV Distribution in a new deal that will give audiences on-demand access to hundreds of episodes of iconic American television series. 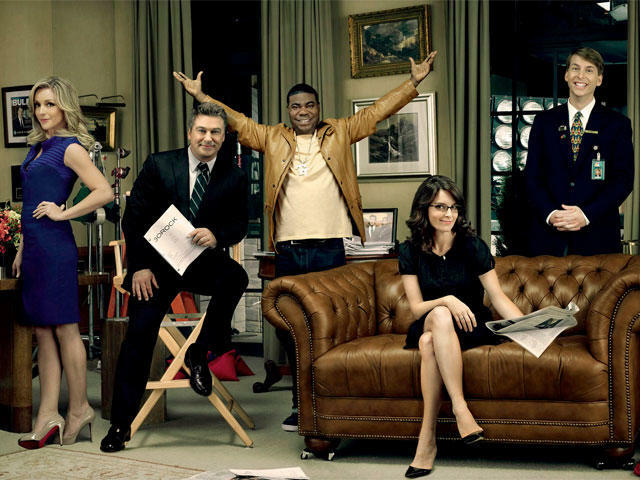 Through this deal, which combines recent premium quality series with all-time greats and guilty pleasures, LOVEFiLM members can now watch critically acclaimed comedies like the US version of The Office starringSteve Carrell and the multiple award-winning 30 Rock starring Tina Fey and Alec Baldwin. LOVEFiLM will also bring popular NBCU science fiction dramas like the smash hit Heroes, in addition toDavid Hasselhoff's ultimate '80s cult TV classic Knight Rider, to its members. This is the latest TV content deal with a major US Studio to be announced by LOVEFiLM – Europe's leading TV and movie subscription service. It follows a number of high profile TV deals including ABC, BBC and ITV, which have added to the rapidly expanding collection of top TV and movie content via LOVEFiLM Instant. Jim Buckle, Managing Director at LOVEFiLM, said: "This deal with NBCUniversal strengthens our exceptional and unrivalled on-demand TV offer. Our content, unbeatable value for money and the instant nature of our service make us the first choice for people who want the best possible entertainment experience." Belinda Menendez, President, NBCUniversal International TV Distribution and Universal Networks International, added: "We're excited to announce this partnership with LOVEFiLM and proud of the NBCUniversal titles represented in this agreement. LOVEFiLM customers will now have access to the classic NBCU series they know and love, as well the opportunity to discover our other high-caliber programming."